The history of the Faculty of Forestry at UBC is unique. Professors, staff, and fellow Forestry alumni are very proud of the achievements and contributions, they have all made over the years. 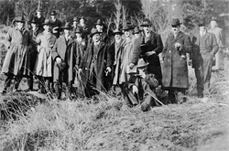 1920: Department of Forestry authorized at UBC. 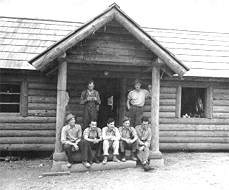 1953: The Canadian Institute of Forestry’s (CIF) main objective is to welcome students to the forestry profession. One way they accomplish this is by offering the Silver Ring marked with a raised tree to each graduating student from an accredited Canadian forestry program. The very first Ring Ceremony was held in 1953 by the UBC Forestry graduating class. By 1967 it became tradition for all Forestry graduates across Canada to receive a Silver Ring. 1957: This date signifies the welcoming of the Sopron students and staff to the Faculty of Forestry at UBC. 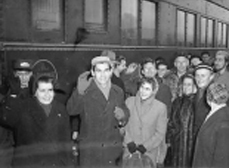 The students of the Sopron School of Forestry in Hungary were forced to flee their homeland when the anti-Soviet Revolution failed. The Dean of the Sopron School of Forestry sent letters to 20 countries explaining the necessity for a new home to allow the current students to complete their degrees. The Faculty of Forestry at UBC offered a place for the Sopron students to finish their forestry studies. 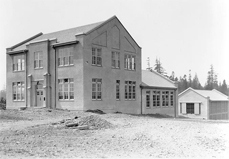 Incorporating the Soprons in to the Faculty was a major alteration as the Sopron School had 50% more students and three times the number of instructors than the current UBC Faculty at the time. This move was also difficult for the Sopron students who were forced to learn English and immerse themselves in Western culture as quickly as possible. Despite these difficulties, this mass immigration provided BC with a new perspective on forestry and a major contribution to the industry. 1983: Majors in Harvesting and Forest Resources Management introduced to the B.S.F. program. Majors in Wood Science and Industry and Forest Science introduced to B.Sc. Smith, J. Harry G., UBC Forestry 1921-1990: An Informal History. 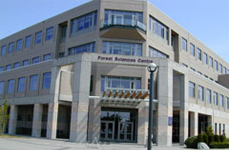 Vancouver : Faculty of Forestry, University of British Columbia, 1990. For further information or copies on this book please contact Dr. Susan Watts at sue.watts@ubc.ca or 604-822-6316.